Feng Qu grew up in rural China during a time when everything was rationed and children were chronically hungry. These experiences greatly influenced his decision to pursue a career in research and find meaningful solutions for farmers and consumers in the world of plant pathology. 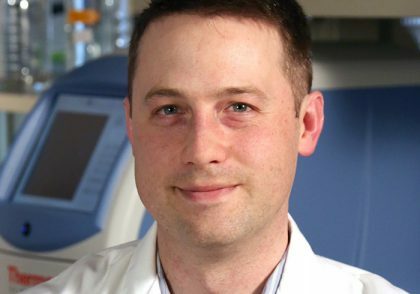 Now halfway around the world, he is a molecular plant virologist at The Ohio State University (OSU) who dedicates his time to improving soybean crops. “I focus on soybeans because it’s a crop that provides balanced nutrition and is an important source of income for Ohio farmers,” said Qu. He enjoys working with the Ohio Soybean Council and its farmer board because they understand the importance of his research and the value it brings to their soybean fields. For the past few years, Qu has immersed himself in genetic projects, including using viruses to silence genes in order to improve disease and pest resistance in soybean cultivars and finding more efficient ways to enhance traits using CRISPR technology. This research will benefit farmers by reducing the need for labor and chemical inputs, while increasing yields and quality. Though Qu works with a top-notch team at OSU doing what he loves, his favorite part of the job is talking with farmers. 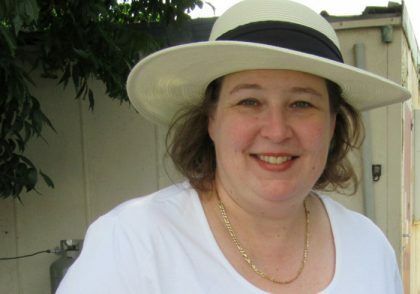 Dr. Elizabeth (Libby) Dayton is a Connecticut native who became interested in science and nature at a young age. After earning her degree in environmental science from the University of Massachusetts at Amherst, she decided to continue growing her expertise in soil. More than a decade later, soil is still her passion. She enjoys digging into soil contamination issues and analyzing data as a research soil scientist at The Ohio State University. Dayton’s recent work centers on helping soybean farmers determine their risk for phosphorus runoff and erosion based on real-world data. During the past three years, Dayton and her team collected more than 14,000 edge-of-field runoff samples from over 2,000 runoff events and soil samples from 29 fields in eight Ohio counties. Now growers can use that data to compare management practices and make improvements to their farms that protect water quality and maintain soil productivity through On-Field Ohio. On-Field Ohio will not only help farmers compare practices, it will also allow users to run simulations to understand how crop management decisions affect broad landscapes. By comparing practices like minimal tillage, cover crops and different fertilizer/manure placement methods, On-Field Ohio will enable farmers and educators connect the environmental dots to reach targeted erosion and phosphorus runoff goals. “Adoption of On-Field Ohio can help farmers move the needle on water quality. The next big challenge is to promote its implementation,” said Dayton. She is grateful to the Ohio soybean checkoff and its farmers for their financial support of On-Field Ohio as well as their collaboration and commitment to good environmental stewardship. With continued engagement, Dayton has the opportunity to pursue her passion while creating a more sustainable and productive future for Ohio agriculture. Steve Culman grew up in the ‘burbs of Cincinnati. A city kid who occasionally helped out on farms, Culman became drawn to soil health and fertility through food. The more he paid attention to the food he ate and the complexities of growing it, the more he wanted to help farmers make profitable and sustainable decisions to enhance our food supply. Today, his career as an assistant professor and state specialist in soil fertility at The Ohio State University allows him to do just that. He spends part of his time conducting research and part of his time sharing what he’s learned with farmers and future growers in fields and classrooms. While it’s his goal to make farmers as profitable as possible, that doesn’t necessarily mean just increasing yields. His latest research project involves updating the Tri-State Fertility Guide, which provides farmers with recommendations for applying nutrients to grow healthy, high-yielding crops. Thanks to the support of the Ohio soybean checkoff, Culman and his team conducted 300 on-farm strip fertility trials to share the most up-to-date fertility rates with farmers. While their findings closely align with recommendations provided in the original guide, they are adjusting policies to work better for farmers with short-term land leases. Mark Loux’s career in weed science is due in part to his dad, a chemist at one of the major ag chemical companies on the East Coast. “When I was getting a degree in plant science at the University of Delaware, he let me know about their internships,” Loux said. He ended up accepting a summer internship with a company in New York and then moved to Illinois to work at their research farm after graduating. “In the middle of that, I figured out I wanted to go to grad school in weed science,” Loux said. After earning a Ph.D. from the University of Illinois, he took a position at The Ohio State University specializing in weed management. While many weeds are still effectively controlled, others are becoming more difficult. Helping farmers prevent the spread of these herbicide-resistant weeds is one of his biggest goals. When he’s not writing articles or recording videos to post online, Loux is talking with farmers at county agronomy meetings, updating the Ohio, Indiana and Illinois Weed Control Guide and answering emails from growers asking for recommendations. 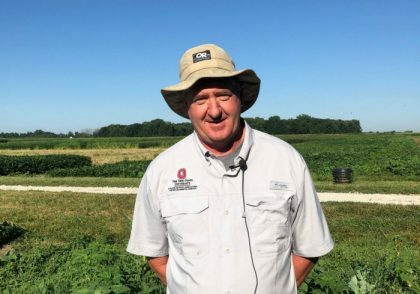 He credits the Ohio Soybean Council’s support as being essential to his mission to help farmers identify and manage problematic weeds before they cause yield losses. Professor Anne Dorrance knew early in her career she wanted to find answers that would help growers improve their yields and bottom lines. 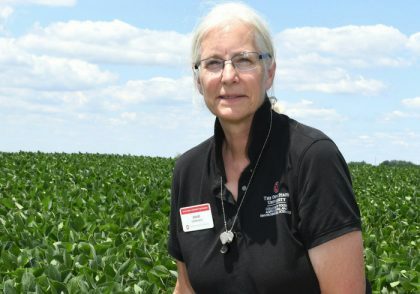 With past experience in several different crops, she narrowed her research focus to soybeans upon joining the team at The Ohio State University in September 1997. Originally from upstate New York, Dorrance was raised the granddaughter of a dairy farmer and the daughter of a college professor. She intertwined her roots in both agriculture and academia and now provides Ohio soybean farmers with innovative genetic solutions to control and prevent disease in their fields. Dorrance and her team at the Soybean Pathology Lab focus heavily on genetic improvement and the development of disease resistance in soybeans. She strives to provide growers with the best possible varieties for increased yields and maximized return on investment. Throughout the summer, Dorrance spends several days a week out in the field observing her own data and working with students. She also assists crop consultants and county extension agents in troubleshooting severe pathogen problems as they arise on local farms. When the growing season wraps up, Dorrance turns primarily to analyzing data and teaching classes like Field Crop Pathology. In addition to teaching, she advises graduate students, relaying her passion for developing disease-resistant soybeans to the next generation of researchers. “My goal in life is to eliminate all soybean diseases,” said Dorrance. “All our research is driven by what the farmers need,” said Tilmon. These days, what Ohio soybean farmers need is advice on managing the brown marmorated stink bug. Its population has exploded in recent years, damaging soybean crops along the way. Tilmon and her colleagues are working to develop more effective scouting techniques for soybean farmers. They’re still in the preliminary stages of adapting a method that has already seen success in fruit orchards: a plastic card coated with thick, sticky material and an irresistible insect pheromone designed to trap curious stink bugs. Growers can count the number of insects collected and extrapolate that value into a general area population. Tilmon hopes that growers will eventually be able to use the cards in soybean fields across the state. Another project on Tilmon’s radar pertains to good insects in the soybean fields, specifically, pollinators. With the help of local soybean growers who let OSU researchers use their fields for study, Tilmon’s team has been able to identify several dozen species that make up the soybean pollinator community. It’s not just the typical honeybee at work, but a wide variety of native bees and flies also playing a part. For Tilmon, collaborating with farmers to make these discoveries is really the best part of the job. 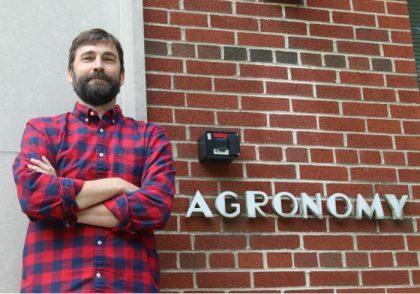 “Ohio farmers are just fabulous and interesting and engaged with Ohio State research, and incredibly supportive of the work we do,” said Tilmon. She appreciates the insight they provide to her own study and the forward-thinking attitude they have toward the industry of farming. Laura Lindsey grew up in rural Ohio, the daughter of a middle school science teacher. It was her mother who first encouraged her to conduct experiments in areas like corn production and soil science for the science fair. It caught on. 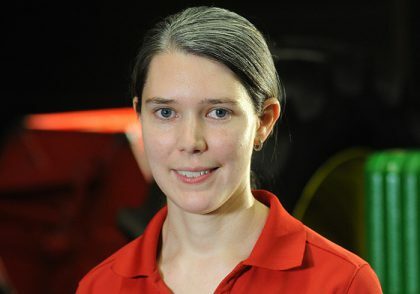 Lindsey, Ph.D., is now Assistant Professor at the Ohio State University Department of Horticulture and Crop Science. 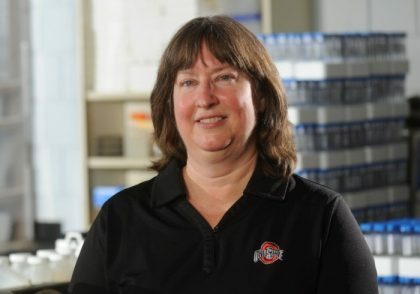 She works with statewide corn, soy and wheat growers through the OSU extension office, helping to bridge up-to-date science and current farming methods. Summers take her out into the field for outreach activities and educational workshops with farmers. These focus on practical matters for Ohio growers, such as how to increase soybean yield even as the area faces more sporadic rainfall and higher temperatures than ever before. One major recent project her group has undertaken: a revamping of the Ohio Agronomy Guide, its first in a decade. The Guide was first published in 1966, and this newest 15th edition will continue its history of helping growers understand the latest production trends and recommendations. The Guide is available for free on Lindsey’s extension website, Step Up Soy. Lindsey remains in close touch with the farmers she meets, who have her email and cell number and know they can call her anytime with questions or ideas. In Lindsey’s experience, Ohio farmers truly appreciate the OSU extension network and the access it provides to world-class researchers and grower resources like the Ohio Agronomy Guide. And really, it’s a two-way street. Andrew Michel grew up in the suburbs of Chicago, far away from any farmland. When he enrolled in Purdue University, he fell in love with entomology and the world of agriculture. “It felt like a whole new world opened up to me outside of the suburbs, a whole new area of research possibilities,” said Michel. 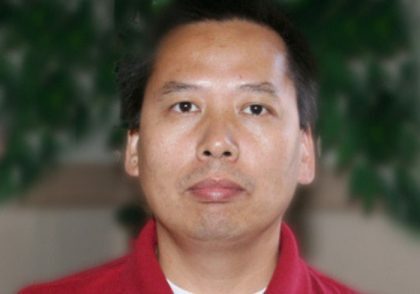 Michel is now an associate professor at The Ohio State University Department of Entomology and a member of the OSU Soybean Center team. He is interested in how insects adapt to environmental changes on a genetic level and how that information can help farmers use sustainable tools like resistant plants to adapt to the insects. His lab has been keeping a particularly close eye on the invasion of new pests like the brown marmorated stink bug. In neighboring states like Pennsylvania, the infestations are so bad that people can be found sweeping them off their porches into five-gallon buckets. “A colleague told me a story of a combine that caught fire. As it was harvesting soybeans, the intake valve got so clogged with brown marmorated stink bugs that it just killed the engine,” said Michel. Ohio hasn’t seen those kind of populations yet. Michel and his colleagues want to make sure they never do and that farmers are ready to ward them off and protect their crops. He goes out into the field regularly to help farmers learn to identify and scout for stink bugs and other pests. Interacting with growers is Michel’s favorite part of the job. He tries to spread the message of give-and-take learning to the younger generation of scientists as well. During the summers, he hires students from the local liberal arts college in Wooster who have suburban or urban backgrounds. Michel cites the Ohio Soybean Council’s funding as vital to his work developing resources for farmers, including the recent soybean aphid genome sequence. What’s Limiting Soybean Yield in Ohio?